At NPE 2015,Sikora will be showing its wide range of measuring, control, inspection and sorting technology for continuous online quality control in the hose, tube and plastic industry. 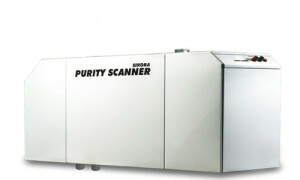 A highlight of Sikora is the PURITY SCANNER, a system for online inspection and sorting of plastic pellets. The system detects contamination from 50µm in pellets used for example in the medical technology field, in the automotive industry, in aircraft manufacturing or in high voltage and submarine cables where 100% purity is required. Contaminated pellets are separated and sorted out, assuring that only pure pellets get into the extrusion process. The pellet inspection allows for the detection of organic and metallic contamination inside the pellet as well as on the pellet surface, using a special combination of X-ray technology and an optical system. Sikora will also present its LASER Series 2000, for classic diameter measurement in two or three planes, covering product diameters from 0.05-500mm. Furthermore, the high-end LASER Series 6000 will be displayed at the show. Sikora said the gauges fulfill all requirements regarding high accuracy, a variety of interface connection options and reliability for a quality control during hose and tube extrusion. The high accuracy allows in addition for the detection of lumps and neckdowns. Three high-end gauges are available for product diameters from 0.2-78mm. 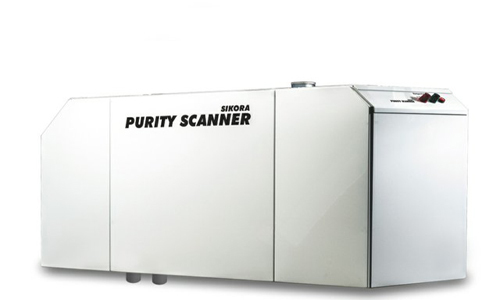 For online quality control, optimization of material usage and highest productivity during hose and tube extrusion, Sikora offers the X-RAY 6000. There are two X-RAY models available, the X-RAY 6000 for quality assurance of single layer products and the X-RAY 6000 PRO for the measurement of single and multi-layer products. The systems are designed for continuous measurement of the inner and outer diameter, wall thickness, eccentricity and ovality of hoses and tubes. In combination with the processor system ECOCONTROL 600/1000/6000 an automatic control of the line speed and extruder rpm under consideration of the minimum values is possible. In addition to innovative measuring devices, Sikora will display the two and three axis lump detectors LUMP 2000 XY/T. The heart of the LUMP 2000 devices is the advanced double sensor technology, which reliably detects punctual non-conformities on the product surface even at high line speeds.